The summer has flown by and, depending on temperatures, harvest will begin in the next 6 weeks. We couldn’t have asked for better weather during this critical time during the growing season. Cool temperatures, plenty of moisture, and sunshine have boosted our corn yield estimates above average. 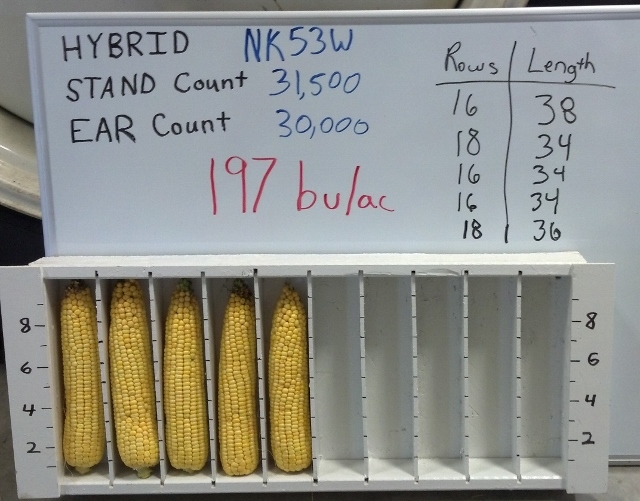 Yield estimates have ranged from 180 bu/ac to 240 bu/ac depending on the farm and hybrid. Bean yields are yet to be determined but they too are looking good. The weather shows no sign of turning as there is rain in the forecast for 4 days this week. Typically, timely August rains boost bean yields so lets keep our fingers crossed. In the near term we hope to finish mowing roads and start preparing the harvest equipment.